At Hampshire Label, we carry one of the largest selections of laminates and varnishes that suit a wide spectrum of applications. Our film laminates and topcoat varnishes are also designed to offer unmatched label protection. 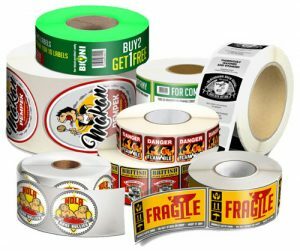 If you are looking for varnishes and laminates to keep your custom labels intact in the face constant use, you have come to the right place. What are the Benefits of Varnishes & Laminates? Varnishes and laminates provide much needed moisture and abuse resistance. These finishes can protect your custom labels from scratches and scuffs. Another important characteristic that product packaging is rub resistance. Laminate can be applied to help the product withstand a lot of scratching from adverse shipping conditions. All in all, varnishes and laminates ensure that your beautiful label designs will not be damaged from rough handling. Get Varnishes & Laminates for Your Labels at Hampshire Label Today! Hampshire Label was founded in 1976, and have many years of experience in printing custom labels with a wide variety of varnishes and laminates, for clients from many different industries. 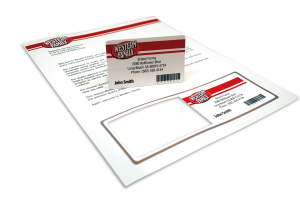 When you work with us, you can enjoy a myriad of benefits such as fast turnaround time, very competitive rates and stellar print quality. If you want to find which types of laminates or varnishes suit your labels, don’t hesitate to contact us today for more information! Laminates are a film material that offer a thicker layer of protection making them better suited for labels that will face moisture, abrasion and light. Gloss, matte, and special durable laminates are available, depending on your specific needs. Varnishes are clear liquid coatings that are cheaper than laminates and UV coatings but have the least staying power. Varnishes are available in gloss and matte, and can be applied to the entire label (“flood varnish”) or only certain sections of the label (“spot coating”) to create interesting visual effects.